We’re closing in on the launch date for our latest book, Claimstake. We’re shooting for September 22nd and I don’t see any reason we shouldn’t make it. 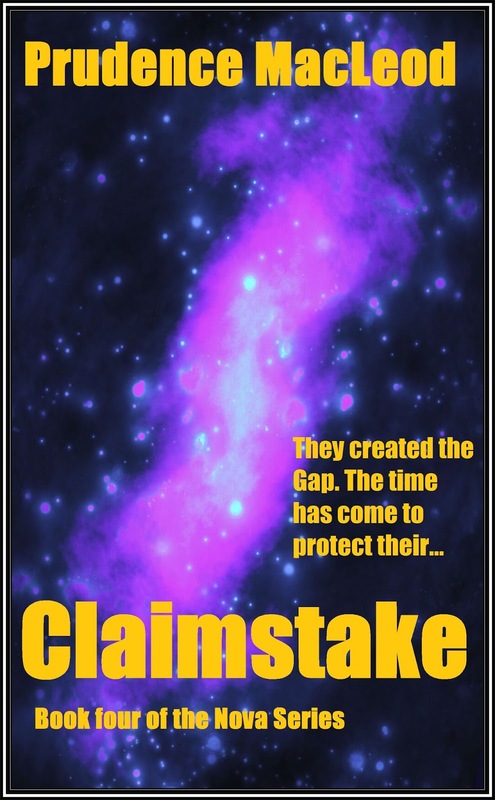 Claimstake is the fourth book in the Nova series. In it I have dealt with a couple of bad guys life has thrown at me. No, not in real life, but in World of Warcraft. I have changed these guys a bit and wrote them in just to deal with their bad attitude. Hehehe… If you’re a player, you will probably recognize a couple of small details that give me away as somewhat addicted to the game. Several people were already in the kitchen enjoying a meal when Deann entered followed by Krak’sul and the three hunters, one grizzled old fellow and two females. The room fell silent and everyone stared. Sensing the unease of the Greens, Deann spoke up. There were a few nervous snickers as she put her fists on her hips and glared at him. Okay, that’s enough of a peek for now; I’ll give you another look between the covers next week. Now on to the ROW80 check-in. I spent a lot of time this past week working on the studio extension, but I did manage to get some writing done. I touched on three different stories before settling on the sequel to Hunter as my next writing project. I managed to get four thousand words written on it this week. You might also want to sign up for our newsletter. There’s lots of good stuff in it that rarely makes it to the blog, and each time there’s a coupon for a free book. So, drop me a line to let me know what you’re up to. I really liked Novan Witch – glad to see you're continuing the series! I need to get Book 2 next, however. Keep up the good work on getting the words down! Congrats on getting the next book out, Pru. You are just rolling along, and getting the extension done, too! I'm impressed!